Jasmine is the EQUIPPPS lead investigator. She is also Senior Lecturer in Development Studies with a specific focus on the gendered political economy of health in Latin America at Birkbeck University. Prior to working at Birkbeck she worked at the University of Manchester and the Nuffield Institute for Health, University of Leeds. She has also carried out consultancies for a range of institutions including UNIFEM, DFID and the Ford Foundation. She has also been involved in an UNRSID research project on migration and health in China and the UNU WIDER project on Aid for Gender Equality. Robert is the Director of the Institute of Social and Economic Research (ISER) and Matthew Goniwe Chair of Social Policy at Rhodes University. His academic work focuses on the institutional history and ideologies of social policy and social change in South Africa, specifically with regard to policy aimed at overcoming inequality and building an inclusive social citizenship. He holds a BA (Hons) in (Industrial Sociology) from the University of Cape Town, MSc in Sociology from the London School of Economics and a PhD in (Social Policy) from Oxford. Saumen is Professor of Educational Studies at Jawaharlal Nehru University, Delhi. His research has been on the Economics of Education with a focus on education policy, governance and financing. Other areas of interest include public finance, with a focus on tax evasion and the black economy. Pranjal is Assistant Professor at the Centre for Water Policy, Regulation, and Governance, Tata Institute of Social Sciences in Mumbai. His research has focused on the privatization of water services, specifically on urban water PPPs. He led the designing of the new curriculum for the Master’s Program in Water Policy and Governance at TISS. Pranjal has over 10 years experience in policy research and advocacy. He has worked on issues of delivery and management of water and sanitation services and livelihood issues in tribal communities in India. He holds a MA in Economics from the University of Pune and is currently finishing his PhD in water policy from Tata Institute of Social Sciences. Gilad is the Director of the CSID research unit in the School of Economic and Business Science at the University of the Witwatersrand and the coordinator of the National Minimum Wage Research Initiative. He holds a MA in Political Economy from New York University and a MSc in Economics from SOAS, University of London, where he is currently completing his PhD. Gilad has a background in political activism and research interests in finance, macroeconomic policy, labour markets and the mineral sector. Elisa is Senior Lecturer and Research Tutor in the Economics Department at SOAS University of London. She also is the coordinator of the Research Cluster, International Financial Institutions, Neoliberalism and Knowledge. Her research has focused on the International Financial Institutions, the political economy of aid, policy reform in low-income countries, and the revival of public private partnerships (PPPs). She has made various contributions to these debates, including through "The Political Economy of Development: The World Bank, Neoliberalism and Development Research", co-edited with Kate Bayliss and Ben Fine, and publications in various journals and books. Nikola is a research officer at Education International (EI), the global federation of education unions, where she coordinates the research programme as part of the Global Response Campaign against the increasing commercialisation and privatisation in and of education. This programme entails a variety of case and global mapping studies on privatisation and PPPs in education as well as related political economy issues. As part of her work she is also involved in fostering exchange and providing research capacity development for education unions from across the world and supports EI’s programmes on teachers and children with (dis)abilities, ICT in education and open access. She is a certified teacher and former union activist concerned about strengthening equitable access to quality public (education) systems and promoting the democratisation of knowledge within and beyond education. Yusuf is the Professor of International Education and Development Policy at the University of Sussex. He is also a Senior Research Fellow at the Institute of Social and Economic Research (ISER), Rhodes University, South Africa. He is alsothe South African Research Chair in Teacher Education, and the Founding Director of the Centre for International Teacher Education (CITE), 2014-2017, at the Cape Peninsula University of Technology (CPUT), South Africa. Peviously Yusuf was Senior Policy Analyst at the EFA Global Monitoring Report, UNESCO, Team Leader for Education and Skills, the Department for International Development UK, and Head of Department of Comparative Education at the University of the Western Cape, South Africa. Yusuf is an education policy specialist with a career in international education and development research. He is presently engaged in several research projects on teachers and teacher education including the ESRC/DFID funded project “Engaging teachers in peacebuilding in post conflict contexts: evaluating education interventions in Rwanda and South Africa" and several large-scale studies about teacher professionalism, teacher education and continuing professional development in South Africa and globally. Elaine is a Professor of Education and International Development at the UCL Institute of Education. She is also Co-Director of the Centre for Education and International Development at the UCL-IOE and the joint principal investigator on the ESRC/Newton Fund/NRF funded project on higher education and the public good in Ghana, Kenya, Nigeria and South Africa. Elaine has more than 25 years experience working on themes concerned with gender, race and class inequalities and their bearing on education. Her specialist interests are in the capability approach and human development and education in Africa, particularly South Africa. Marie is a Professor of Education and South Asian Studies at the UCL Institute of Education. She currently serves as UCL’s Pro-Vice-Provost for South Asia. 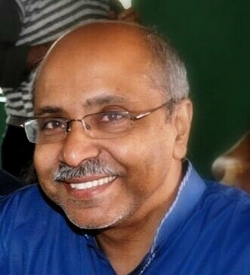 Professor Lall is a South Asia expert (India, Pakistan and Burma/Myanmar) specialising in political issues and education. She has over 25 years of experience in the region. Her research interests focus on the politics of South Asia including domestic politics, political economy, foreign policy, geopolitics of energy, migration and Diaspora politics, citizenship, ethnic peace and conflict issues. She also works on education policy in India, Pakistan and Myanmar with regard to gender, ethnicity and social exclusion, the formation of national identity, and the linkage between national identity, citizenship and education. She has written widely on these topics and is the author/editor of 6 books and a monograph. She has been instrumental in providing thought leadership to development agencies, policy makers and governments in the region and internationally. She has worked with the World Bank, UNICEF, the British Council, AUSAID, South Asian philanthropic bodies as well as government ministries. Kate Bayliss is a Research Fellow in the Economics Department at the School of Oriental and African Studies at the University of London. She has worked for many years on privatisation and public sector reform with particular reference to water and energy, in developed and developing countries. Her research interests in this area include the impact of globalisation and financialisation on the provision of basic services. Sarah is a medical doctor with a degree in sociology and a PhD in epidemiology. She is Professor of Global Public Health at University College London where she leads a research theme analysing the use of evidence in policy processes, particularly in relation to gender and health, and sexual health. Sarah is the Founding Director of the UCL Centre for Gender and Global Health. She has lived and worked for much of the past 20 years in Asia, where she has gathered evidence, built capacity and helped develop policy for programmes focusing on gender, sexual health and human rights. She works closely with national governments, research organisations, WHO and UNFPA in Asia and the Middle East. Matteo is Senior Lecturer in Development Research Methods and Senior Lecturers in the Economics of Africa at the School of Oriental and African Studies, University of London. His research interests are the economics of Africa, the political economy of development, the present as well as its history with a focus on Eastern Africa. Labour markets, their functioning and their politics, are a theme running through his work to date. Lynsey is the EQUIPPPS network administrator. She recently completed a MA in Education, Gender and Development from UCL-IOE. She is particularly interested in the role of PPPs in the provision of girls’ education.